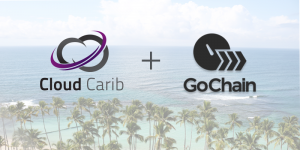 Cloud Carib is proud to announce they are now hosting a signing node on the GoChain network. GoChain is a scalable, high performance, decentralized cryptocurrency and blockchain that supports smart contracts and distributed applications. Cloud Carib, a Bahamian company, is committed to assisting in the technical transformation of the region by investing resources for transformation. Their establishment of a signing node on the GoChain network demonstrates Cloud Carib’s dedication to the development of The Bahamas as the ‘Silicon Valley of the Caribbean’.